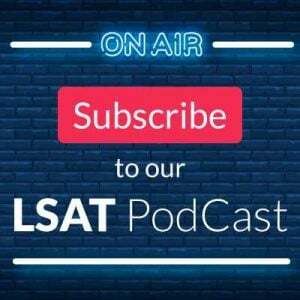 Note: we talked in detail about retaking the LSAT on the PowerScore LSAT PodCast, in episodes 2 and 3. You can access those episodes here on iTunes. I recently talked about who should retake the LSAT, and this week I’m covering how to properly prepare for your retake. First, I’m going to presume that the last time around you did a fairly decent job of preparing, that is, you worked through a course or some self-study guides, and you took a fair number of practice tests. If you didn’t make a reasonable effort the first time around, then your top priority should be to put in 100% this time! The information below will still help you, but you have to be committed to the process; without that, the rest doesn’t matter. In some cases, it’s easy to know where you are struggling, but in others it’s not so simple. Two basic tools you should be using are: an analysis program when scoring your LSATs, and tracking every error or problem point. 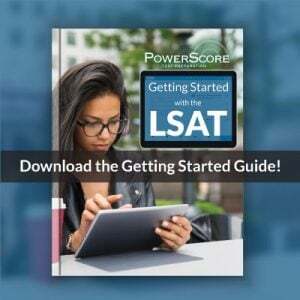 Score reports are an invaluable tool, and every time you take an LSAT you should input your answers into our free system, available at the PowerScore Self-Study Site. The feedback you receive there tells you about the types of questions you are missing as well as the difficulty of the questions you are missing. Use that information to better understand what you are doing well and what you need to work on. The other step you must take is to track everything that gives you problems (the study plans available at the prior link have tracking sheets you can use). Miss a question? Mark it down and note why. Don’t feel 100% comfortable? Same thing—mark it down. Then, every so often, go through those lists and look for patterns in what you are missing. There will be patterns! For example, you might miss only a single question of a certain type in each section, so it might not feel like you are having issues, but then when you look over the results of ten tests, you realize that you aren’t as strong with that type as you could be. Taking practice tests is essential, and since fatigue can have such a major impact on performance, make sure to take a significant number of full practice tests that feature a fifth, experimental section, and even “overdriving” your LSAT by taking tests with six sections (meaning two experimentals). This will build up your familiarity with fatigue and improve you ability to perform well while weary. 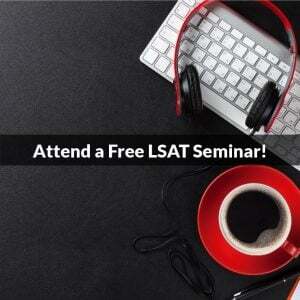 How to take a 5 or 6 section LSAT? You can either photocopy a section from another LSAT, or simply switch to a different book for that section. The key isn’t whether you know it’s a “real” section or not, the key is that you take the section and give it your best effort. Treat it as part of the full test you are taking, and later, after you’ve taken all the sections from the other LSAT, score that test as well and add the results to your performance tracker. There are many different ways to review practice tests, but one very useful tool I mention often is Blind Review. While it’s a useful approach in general, when you are retaking it’s especially helpful because it forces you to really examine the choices you’ve made. Use the Blind Review results to make a cold appraisal of how well your LSAT radar is working in terms of when you feel confident vs when you know something is wrong. If you find that your radar is well off, go through the steps described in that link to break down each part of your process. For example, first go back and study your identification of stimulus ideas—are you understanding what was said? If not, practice with analyzing and summarizing stimuli, etc. Next, consider how well are you seeing arguments, fact sets, flaws, and the like. Don’t get frustrated if you miss questions the first time; each miss is an opportunity to learn more about how this test is made, and what problem areas you have and what you need to fix. Don’t get depressed by missed questions—instead use them to learn from and improve! As you read each stimulus, you should be naturally summarizing what you’ve read and breaking it down. Inconsistency often relates to your analysis of the stimulus, so how confident you feel coming out of each passage plays a large role in your success. Part of the process of breaking down a passage is identifying the argument components, so try the following exercise: read a stimulus at normal test speed then write down your summary on a separate piece of paper. Do that for 8-10 problems (stimulus, question stem, and each answer choice) in a row that you’ve never seen and then go back and closely compare your summary with what the stimulus/question stem/answers actually say. That will tell you if the issue is a detail issue, and help shed light on whether you are missing concepts in the stimulus. For example, if you summarize a stimulus that happens to be causal but don’t notice until you review it that causality was present, that’s an indicator of a problem. Or if you realize that your internal summaries are too broad or are missing key points, you can change how you read to begin picking up those points. As you try these untimed questions, also stop after the stimulus and make an assessment of how strongly you feel about your understanding of it, and then compare that to how you perform when answering each question. If you see a connection between difficulties understanding the stimulus and answering questions, then you’ll know that summarizing and reducing each stimulus into the simplest possible terms has to be part of your study focus. Another way to think of it is like this: everything you need to know to answer any LR question is in the stimulus, so if you don’t understand something in the argument, it’s going to be difficult to confidently answer the question. The second element to study is what I sometimes call the air traffic controller role, where it’s incumbent on you to recognize when a concept is in play in an argument. Conditionality is a good example of this idea: when usable conditional reasoning is present, you have to recognize it and account for it. When it’s not there, you never even have to think about it. Really good test takers recognize when advanced concepts appear, and use the knowledge to their advantage to not only move quickly but also to move decisively. The problem is, concepts like conditionality occur so frequently on the test that there are also many instances where conditional terms were used but didn’t play a useful role. So, one route to take is to study when a problem features an idea where the concept plays a role in solving the problem versus other questions where the concept appeared but didn’t play a role. Our score reports indicate when problems rely on a certain concept, and in our LSAT Forum we often talk about when concepts help solve questions and when they don’t. So, take time to hone your LSAT Radar because this is one area where you can increase your score while at the same time not sacrifice any speed. Getting down to two answers and choosing the wrong one isn’t a terrible problem to have. Why? Because a lot of students can’t even reliably get it down to just two answers, so you should look at this as a positive, not a negative. Consider: you’ve removed 75% of the potential danger. The key to moving forward is to learn those extra little things that will help you properly and consistently knock out the final wrong answer and choose the right one. Understanding the stimulus more clearly (as described above) will help, but another study tactic is to compare the two answers to each other after you’ve completed the problem and the clock is off. First summarize the differences between the two answers, and then go back to the stimulus and find the pieces that compelled you to choose one answer over the other. Then determine why this connection appealed to you, and analyze the strength of that connection. If you missed the problem, what error did you make in connecting the pieces to the answer? Was it a missed word? Did you not understand something you read? Begin actively looking at why you made errors, since that process will then begin to become second nature. After you read any game scenario and rules, you should have a clear idea of what you are looking at, as well as where the game is positioned relative to other games you’ve seen. This recognition ability helps you more quickly identify how to attack the game and the type of work you will need to do. I don’t just mean the broad type of game—although you should know that, of course—but also the notable features present (such as a Numerical Distribution or a limited number of possible solutions). Fortunately, this recognition skill can be practiced and learned. Go through the games you have completed, and re-read each scenario and rule set; identify the broad type of game you are looking at, and the steps you would take to attack it. Then compare it to the setup work you did previously. Do this repeatedly until you can read any game and know what you would do to attack it. While many students initially study the best way to represent rules, this is often an area that becomes less of a focus as they turn towards how to make inferences and how to answer questions. The key is to know how to instantly diagram any rule that is standard (such as blocks or a conditional rule) but then to also carefully log and study any rule that is unusual in either the wording or how it works. The goal is to develop a catalog of rules that are unusual or troublesome for you, so that when you see something out of the ordinary on a future LSAT, you have some reference points for best understanding it. Making inferences is perhaps the area most cited by students as a concern. The better your setup and inferences, the more questions you can solve without additional diagramming. A good setup is the embodiment of the old adage that an ounce of prevention is worth a pound of cure. So, focus on your inference-making in order to lower the number of questions that you have to solve using brute force. So how can you get better at making them? The primary way is to study them, to cultivate a knowledge of different situations where they arise, and especially why they arose. This means stopping after each game to piece together what inferences you made and why, and then comparing your setup to the optimal setup in order to see what else you could have inferred. This is a slow, painstaking process, but it will pay off! And it’s during this time that you have to know the game so well that you could recite it clearly even without the text in front of you. In fact, a standard test I use is for a student to make a game setup on a separate page, and then we turn the game itself over so we can’t see the text, and then we use just the setup diagram and see if the diagram is good enough to reverse reveal (re-engineer) each of the rules. It should be, but if it’s not, you know you have a setup problem. Beyond that, however, you need to be able to learn each game so well that you can teach it to others (more below) and so that you could solve it quickly if you were given a fresh copy out of the blue. Most student never spend enough time to be that familiar with games, but it is truly one of the key things you can do: learn it so well you could solve it at any point in the future. By the way, our blog and forum contain some very useful discussions of inference making: When to Move to the Questions in LSAT Logic Games, Attacking Logic Games—Focus on Certainty!, and Speed and Inferences. Your memory is like a muscle, and you can make it stronger. Thus, to improve your recall takes practice. Using a set of unused RC passages, approach each one slowly and break down each paragraph. What did you just read? What did the author say, and what was his or her point? If you don’t understand part of what you read, read the paragraph again. Write down your thoughts if that helps. Do this for each paragraph, and then at the end of the passage, put all the pieces together and do the same thing for the passage as a whole. Next, move on to the questions and try to do them without ever again referring to the passage text at all. This forces you to keep your memory in operation throughout the entire process, and once you’ve done this 10-15 times, you begin to realize that you have to focus more on recalling elements while reading. That makes you better. Time/speed is not important here, the emphasis is on recall and memory, so take as much time as needed to fix the ideas from each paragraph in your mind. After you’ve completed the above exercise (or at least have started working on it), move to another exercise. In this one, as you read, note spots in the passage that you think you will be asked about. Attempt to predict what the test makers will ask you. Then, immediately after reading and noting the questions you think will be asked, compare what you predicted to what the test makers actually did (this requires you to preview each question stem, which is fine for our purposes here). You may find that you are close in some cases and way off in others. That’s okay: you want to be as accurate as possible, of course, but the real point of this exercise is to see how you value pieces of the passage as compared to what the test makers actually do. If your RC Radar is way off, this drill tends to show that immediately. Keep in mind that not all questions can be predicted, so there’s really no such thing as 100% accuracy in this drill. It’s the process that is important, more so than a perfect result. This is very much the same as Drill 1 above, except here we use our mental mapping tool, ViewStamp, as the testing point. As you go through each paragraph, don’t just ascertain the point and what was said, but also all the ViewStamp elements as well. Focus now not just on broad recall, but specific detail recall such as which group stated each viewpoint, etc. Next, preview each question, and as you preview each one, write down next to the question where in the passage you expect to find the answer. You might put “all” for a Main Point question, but “3rd paragraph” for a question about a specific idea referenced in the question. Practice with this as it helps fine-tune your mental mapping, and it makes you much more aware of how your expectations about where info is for answering a question matches up with where the information actually is found. The three exercises above help you reinforce specific parts of the RC approach: knowing what was said, knowing what they will ask, and knowing where to find answers. It takes work, but the real value is that it forces you to examine how you take in information, and how well you understand what the test makers are doing. But as you begin to get better at each part, your score and confidence will start to improve. Then, begin doing more and more passages at speed, and you’ll find that your reading will be better and you’ll be more relaxed within each passage. If you only completed a portion of the released LSATs available from LSAC, your first step should be to obtain copies of the tests you have not done. For some people, this means going back further in the LSAT catalog to tests released in the 1990s. This might concern some students since they’ve heard that older LSATs aren’t quite as useful as more recent tests, but this concern is fortunately misplaced. While there have been some changes over the years in points of emphasis, and in the case of RC, the introduction of Comparative Reading, older LSATs are still extremely useful and worthwhile. I talk about why in an article entitled, Should You Avoid Older LSATs?, but the central idea is that the LSAT is based on foundational principles of logic, and logic itself has not changed in thousands of years. There are hundreds and hundreds and hundreds of useful questions, including some of the hardest LG, LR, and RC questions of all time. More importantly, you get to see many variations on how LSAC handles certain ideas. But, what if you have completed every released LSAT question—what to do then? Even if you’ve seen the questions before, you probably did not extract full value from them. I wrote about this in detail on our blog Retaking the LSAT when you’ve seen all of the practice questions, but the bottom line is that just having seen a question once isn’t usually enough to give you all of the information from it. One way to tell is to go back to any question (or game or passage), and try to write an explanation for it. If you can do so easily without reviewing the question very much, then you are good. If not, then you need to dive deeper, and try the method discussed in the next point. The litmus test for reviewing LSATs is what I call the Teaching Test: ask yourself if you could effectively teach each question to someone else. If the answer is no, then review it again until you can! If the answer is yes, then for the harder and more confusing questions, try to find someone (a friend, parent, study partner) that will let you teach the question to them. This will force you to organize your thoughts about how the problem works, to know the nuances of the argumentation, and to understand the way in which the answers were constructed in order to entice or repel you. This will help make sure you really know the the concepts that appear most frequently on the test, as well as the various techniques and methods for attacking ideas. Can you identify premises and conclusions without thinking, do you know the basic argument flaws, do you know all the ways to break down causality in LR, and so on? Instant execution with no delays or hesitation is your goal as you review each question. Because this is the standard of understanding you are attempting to meet, you can see that it is preferable that you spend more time with fewer questions as opposed to simply doing as many questions as possible. For example, it’s better to take one LSAT and review it deeply as opposed to taking two LSATs and only giving them a superficial review. Increasing your score on a retake is about getting better at the margins, and that can only come from a deeper analysis and comprehension of what you are doing. The steps above should help you approach a retake in a different manner than your first attempt (if not, good for you! You did it the right way the first time). If you have any questions about how you should prepare, please post them below—we’d be happy to help! Image: Passage Den Haag courtesy of Ferdi De gler.